Submarine Group 9 sailors, veterans and visitors gathered in remembrance of the sailors and submarines that were lost during war at a “Tolling the Boats” observance held at Naval Base Kitsap's Deterrent Park. Navy Petty Officer 1st Class Christopher Hodges, assigned to Navy Band Northwest, plays “Taps” during the annual Memorial Day "Tolling the Boats" observance at Deterrent Park on Naval Base Kitsap in Washington, May 25, 2017. A total of 65 U.S. submarines have been lost since 1915, with 52 lost during World War II. 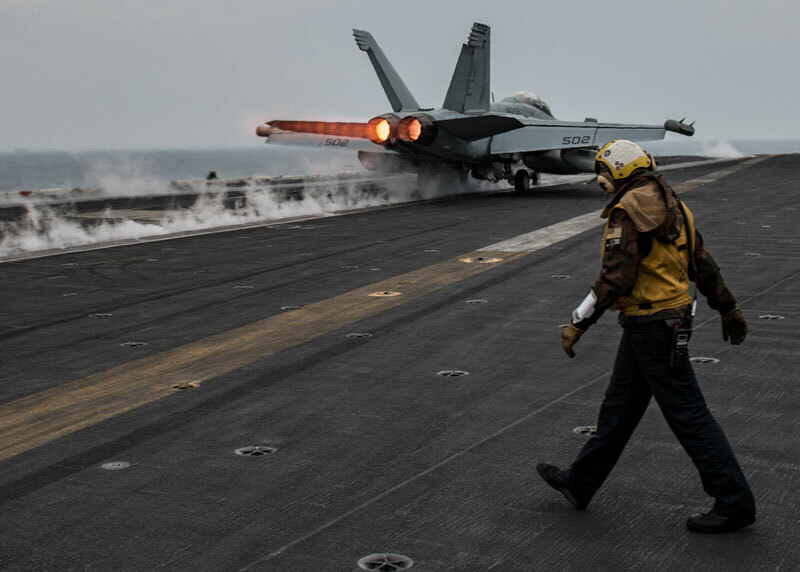 Photo by Petty Officer 3rd Class Charles D. Gaddis IV. Package! Hi! And thanks for the care package! Me and my unit was very happy to see the package with all the goods! Took a while to get back at you guys due to projects and mission time. Thanks once again for keeping us in your mind and God bless! Pfc. Francisco Arias (front), and other Soldiers assigned to Company A, 1st Battalion, 30th Infantry Regiment, 2nd Infantry Brigade Combat Team, 3rd Infantry Division listen to remarks given by their leadership March 26, 2016 at Contingency Location Garoua, Cameroon. Soldiers from 2nd IBCT provide non-lethal support to their Cameroonian hosts as part of U.S. Africa Command. April 16, 20017 - GARUOA, Cameroon - Easter has always been a special holiday where friends and family gather and enjoy one another's company. The holiday had a different meaning this year for Soldiers of Able Company, 1st Battalion, 30th Infantry Regiment, 2nd Infantry Brigade Combat Team, 3rd Infantry Division, who are currently deployed to Cameroon from their home station at Fort Stewart, Georgia. 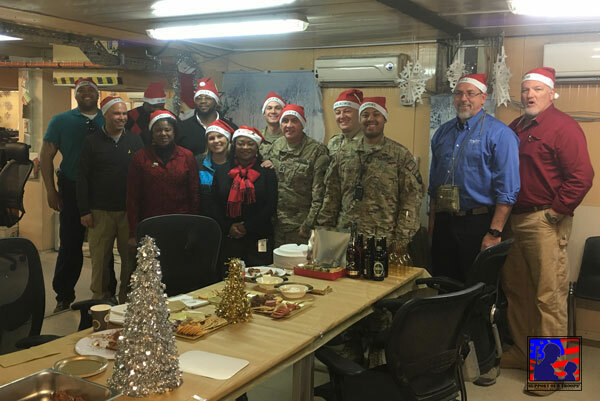 This year the men not only shared the holiday with their fellow Soldiers, but also with their hosts and partners. 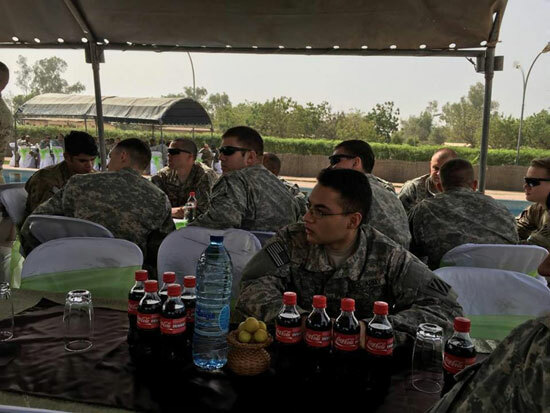 The Cameroonian Air Force hosted Able Company Soldiers for a large brunch the Saturday before Easter. The event was organized by Cameroonian Air Force Col. Barthelmy T'Silla, commander of the Cameroonian Air Base hosting the Soldiers. "This is not only a time to celebrate Easter," said T'Silla. "It is also a time to come together and celebrate the sacrifices of [our] nations." Local restaurant owners and residents of the base brought in home-cooked regional delicacies. Soldiers filled their plates from the buffet with foods like home-made donuts, kebabs, fresh fruit and other local fare. 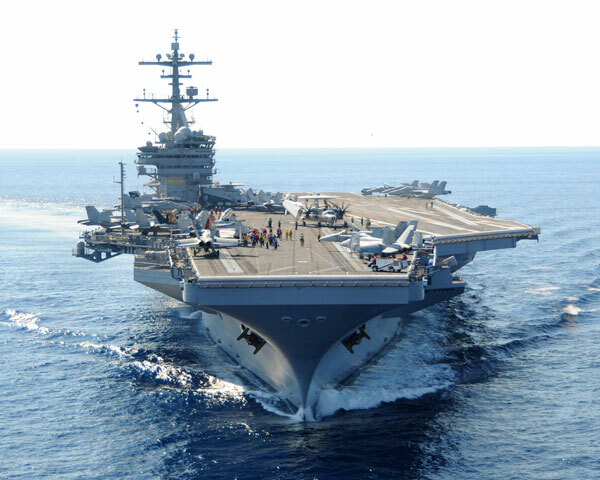 International Waters, 3-10-2017: Dear Support Our Troops, My team and I are with an F-18 squadron, VFA-137 and are currently deployed aboard the aircraft carrier USS Carl Vinson. We received a care package today that absolutely made the day for 11 sailors in my shop. For the majority of those sailors this was their first deployment, and seeing their faces light up, was priceless. Your package arrived at just the right time, and truly lifted the spirits of some tired and hardworking sailors. The letters included in the package brought tears to our eyes, and are now taped to our office wall, bringing color to an otherwise drab work space. Thank you so much for all you do. Please keep up the good fight on the home front. Thank you~! International Waters, 1-21-2017 Heather at SOT: Good evening. We just started our deployment and I received a care package from Support Our Troops today. I am extremely thankful for your generosity and support. I took a picture of what you have sent to us on my phone. I will send it out when we have service again at our next port visit. The items you sent were just what we needed! 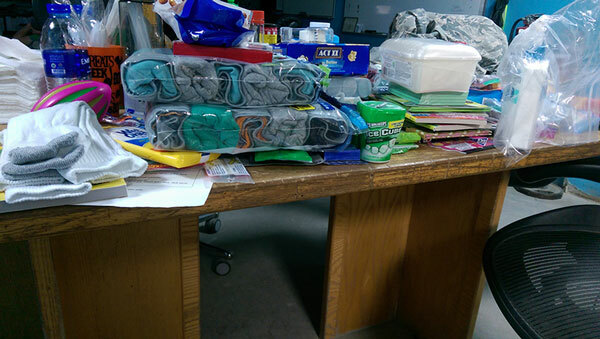 Please continue sending the items to other troops deployed in your care packages. We look forward to your continued support! Have a great day! Thank you from the Automated Information Management Team! SW Asia, December 26, 2016 - Dear SOT team, We received your tokens of appreciation and as an entire team felt the love each and every person put into creating it. After reading through every card and heart felt note we made it our mission to pull every soldier in eye sight to take a picture. Unfortunately there were only for in eye sight so we made sure to grab every civilian as well. So on behalf of the Automated Information Management (AIM) Team we thank you from the bottom of our heart. I can only hope the attached picture conveys the many thanks we have for your acts of kindness. 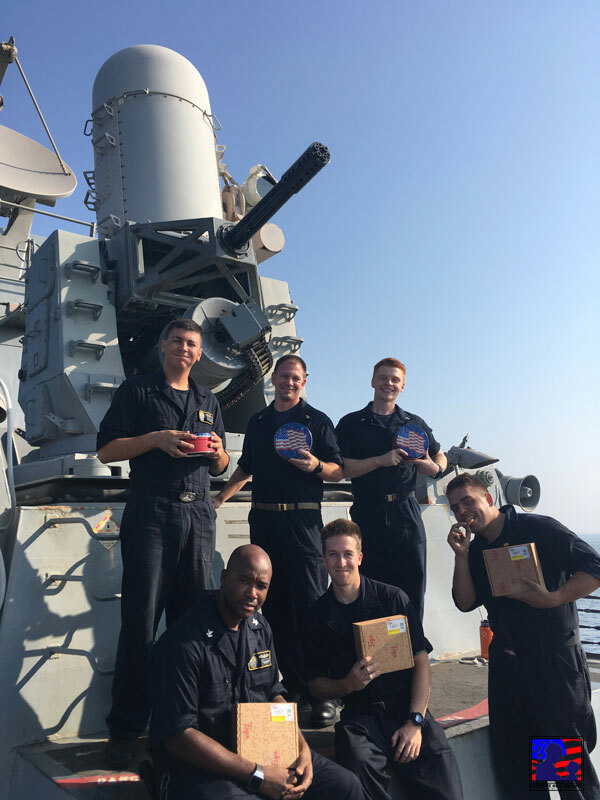 Thanks from USS ROOSEVELT (DDG 80) Weapons Department Sailors! Thanks so much for your box of delightful cookies! I’ve attached a few photos of the Sailors per your request. Please let me know if you have any questions and thanks again for your care and support! OCONUS SW Asia - Thank you!